Midland Tara was bred by Alex Braid from Cumnock and is about 14.2-3hh. Shortly after she was broken in, Mary Best bought her through Alex Braid's clearing sale. 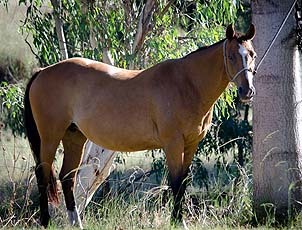 She was used as a broodmare by Mary and bred several foals, Towitta Daiquiri, Shiraz, Schnapp and Toblerone. 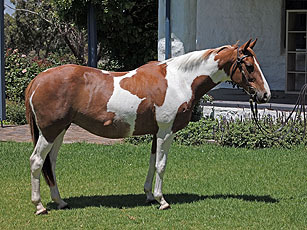 Daiquiri was used for stock work and trail riding, proving to be sensible and good on cattle. 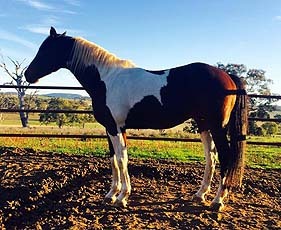 Shiraz is owned by Laura Blunt of Tworivers Stock Horse Stud (who specialise in breeding pinto ASH). 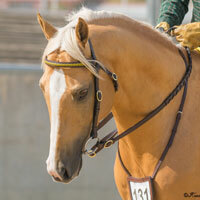 She was lightly shown as a 3yo in hack and ASH classes with success. 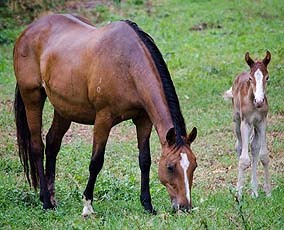 Laura states "She's a very kind mare and has always produced a nice type and kind natured foal". Schnapp and Toblerone unforunately met with bad luck, with injuries resulting in them being put down. Schnapp was owned by Cole Moxey who got her from Chris Ware of Wungum Stud. Cole had started mouthing and ground work with her before she was injured in the paddock. Annie Best reports that Toblerone was broken in and shortly after this was injured. 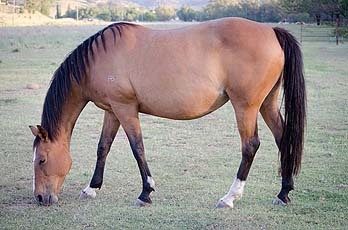 Midland Tara was sold to Carabri Australian Stock Horses who have bred a lovely chestnut filly by Soda Justice from her, before placing her in foal to QH cutting stallion One Roan Peptos.